Competitive Splatoon 2 is a high-energy, fast-paced game featuring a variety of modes. It’s a game where comebacks can happen at any time, and tournament organizers don’t make weird decisions about their rule sets. Unless that tournament organizer is Nintendo. The very developer of the game seemingly cannot run a tournament without hamstringing it in some way that is beyond comprehension. The game is still high-energy and fast-paced, but everything else is up in the air at a Nintendo tournament. At the most recent Electronic Entertainment Expo, the last tournament in a five tournament series was held to crown the 2018 Splatoon 2 world champion. I’m not here to paint these events like they weren’t a lot of fun; there were still massive upsets and nail-biting finishes. Just to highlight how Nintendo modified their rule sets in ways that don’t clearly make the tournament better. Released June 5th on the Splatoon tumblr, the official rule set announced the stages, how seeding will take place, and other aspects of the event. In that update it also mentioned that gear secondary abilities would be disabled for no discernible reason. This sounds like a small change, but using certain gear changes how your weapon kit plays dramatically by alleviating some of a kit’s weaknesses. Other strategies propagated by popular gear builds like stacking large amounts of Special Saver ensuring that a player will respawn with their Special Weapon essentially ready to use or stacking Quick Respawn to get back on the field faster are stripped away with this one rule change. To open the tournament all four teams played a best-of-one Turf War mini-tournament to determine seeding. Best-of-one is not great, but it was only for seeding. No one was at risk of dropping out of the tournament due to an unlucky game. Past the seeding matches, the rest of the tournament were either the more definitive best-of-five for semi-finals or best-of-seven for grand-finals ranked mode single-elimination matches. The gear restriction being the sole quirk for these sets. Unfortunately, the previous tournaments to determine a region’s representative were also marred by weird rule sets. The Australia / New Zealand tournament was Turf War only. This isn’t ideal since Turf War is only a fifth of the possible modes that could be featured in a tournament. The Japan tournament was also Turf War only, featured a best-of-three final, and possibly included the same gear restriction as the E3 tournament. The European tournament was a best-of-three only ranked mode tournament where teams were formed based on country. Best-of-three is passable and actually playing ranked modes means they aren’t ignoring 20% of the modes, but the country restriction of teams hurts the European region specifically. One of the top teams from Europe, Team Olive, is comprised of players from around the continent meaning their members had to appear on different teams. Here is the VOD of Team Olive beating El Firmament, the runner-up in the European qualifier, during the Trans-Atlantic Splatoon League. The USA / Canada tournament was the only tournament that didn’t have anything noticeably weird. I want to say that this is due to Nintendo of America partnering with the experienced TO EndGameTV for the event, but Nintendo of Oceania partnered with the similarly experienced ESL for their event. That tournament wasn’t saved from being Turf War only. In the end, none of these weird changes affected anything dramatically. The American representatives (Set to Destroy X) dropped out in the semi-finals despite having the least confusing tournament. The Japanese representatives (GG Boyz) won the whole thing despite possibly having the most confusing tournament. Again, this was still a fun event. It’s just hard to think of this as a good event due to the wacky rules. If anyone is interested in tournaments with easier to understand rule sets then the VODs of the recent Smash ‘n Splash can be found on EndGameTV’s Twitch channel and the Long Island Splat team will be hosting the Long Island Summer Splat in August. 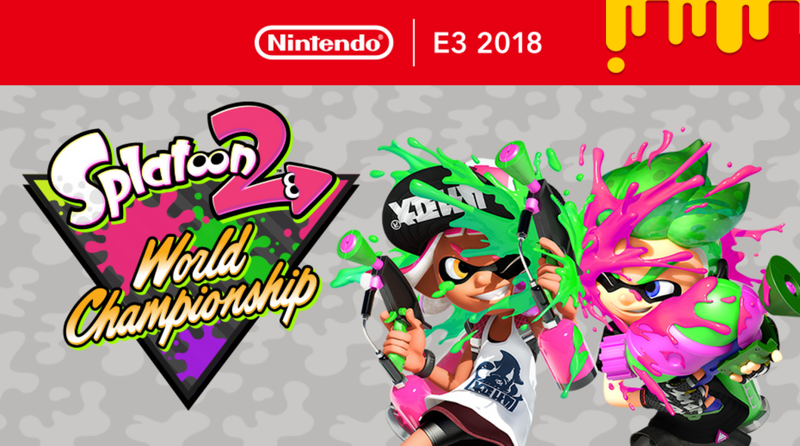 The VOD of the Splatoon 2 World Championship can be found on Nintendo’s Twitch channel. For the latest on where or what I’ll be writing next, follow me on Twitter, @J_Plays_Game5. Update: Previous version of the article mentioned a sub-weapon ban that was not featured in the World Championship tournament at E3.